On the eve of turning 22 months you are developing before our very eyes. Your vocabulary is exploding as you are starting to imitate us much more frequently, your coordination is improving and you are starting to even play games with us like "Simon Says" or "Hokey Pokey." You are such an amazing blessing. Even when you still lived in my belly I dreamed of taking you to see Mickey Mouse. I assumed we would make the trip when you were at least 3, old enough to understand a little of what was happening, but given my impatience, I couldn't resist, and we planned our vacation much sooner than that. You handled the trip remarkably well, and it is as if in visiting that magical place we took a stop in Geppetto's workshop because on our vacation you became a "real" boy. On the first day at Walt Disney World, we got your first haircut. If I wasn't hiding behind the camera I'm sure a tear or two would have slipped out as your baby fine curls were snipped away. Following that, your new found look gave you the courage to boycott the sippy cup and only accept straws to drink from. I didn't believe you could ever get cuter, but your precious haircut made you even more handsome. When you smile, you light up my world. Your father and I discussed our favorite parts of vacation and we quickly agreed that nothing beat having you sitting between us on a ride with a little hand resting on each of our legs as you watched new sites and stories unfold in complete amazement. I am so thankful that I am your Mama, that each day I get to wake up knowing that you are part of my life. I want the very best for you in life. I want you to be happy, to thrive, to be healthy, to be able to accomplish all of your dreams and goals. I will be right here on the journey. Just like on the Mickey Mouse Club, we'll have fun, we'll meet new faces, we'll do things, we'll go places all around the world, we'll go marching - and forever let us hold your banner high, high, high, high! Now hop over to see Carrie's blog to see her beautiful children and read her letter. Adorable! I love the Mickey ears. Oh my, he is so sweet! Crazy how much older a haircut makes them look! How cute is he. You have to love Mickey. Oh my gosh, this brought tears to my eyes! 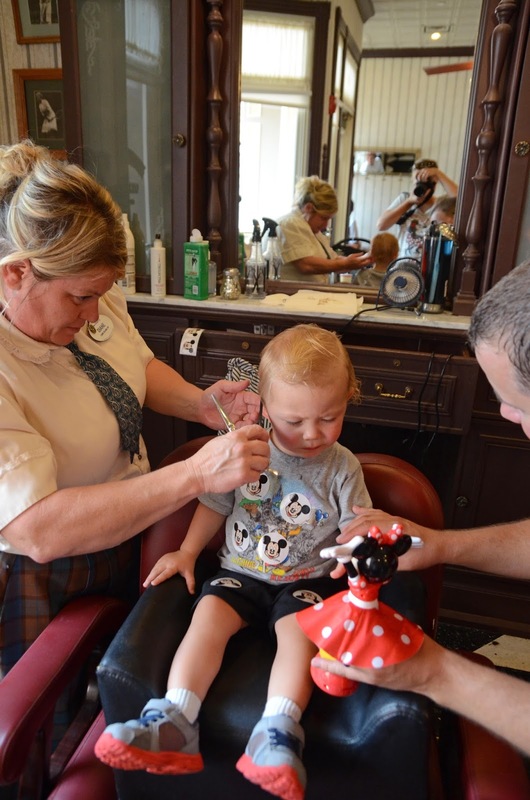 What an awesome place to get his first haircut!!! Amazing letter this month!!! well you know I am a mickey fan! 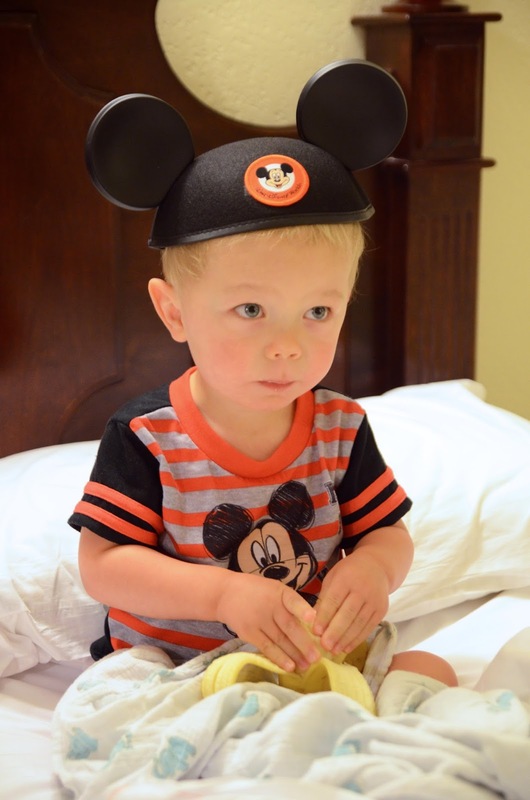 love that you were able to capture disney vacation photos with your letter! so cute to have the first haircut!